Baseball players need to be safe, so this big fella is wearing a big baseball helmet! 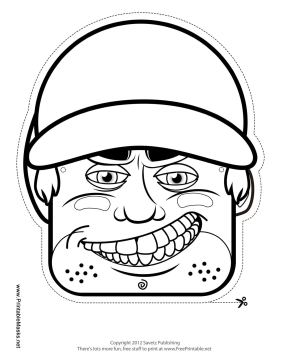 Color him in and wear this mask as part of your baseball player costume! This mask is free to download and print.